Ready-made smoothies are often full of sugar and packed with too much fruit without its fibre goodness. This smoothie just contains some of the best breakfast ingredients blitzed together into a thick milkshake-esque drink, great for those naughty people who eat breakfast on the run. Blitz everything together until smooth and at a consistency you like, pour and go, simple! 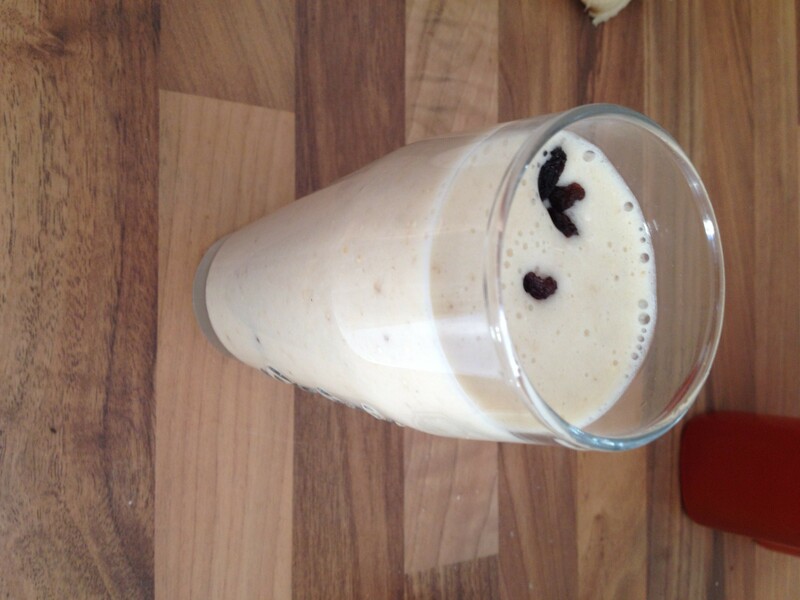 I like putting some raisins in the top because I always put them on my porridge, they add a nice sweetness too. 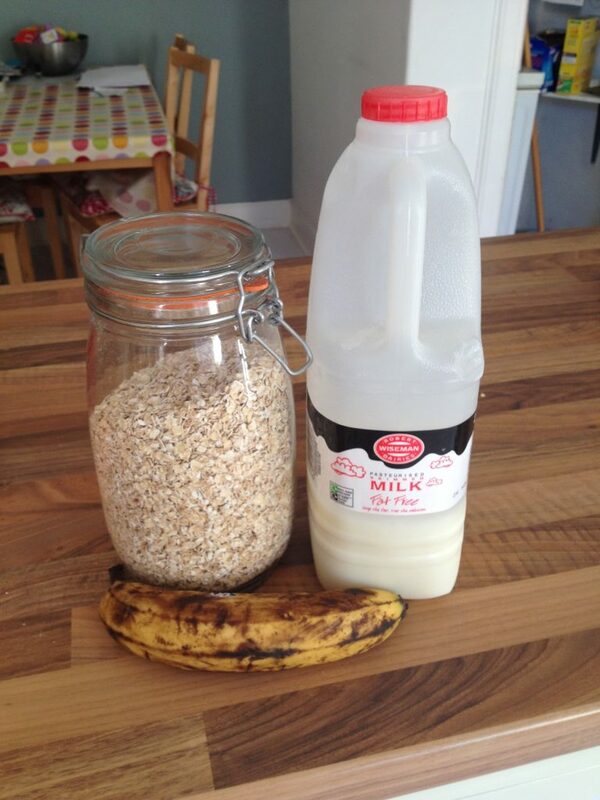 I also make a lower carbohydrate, higher protein version of this, which replaces the oats with a scoop of whey. 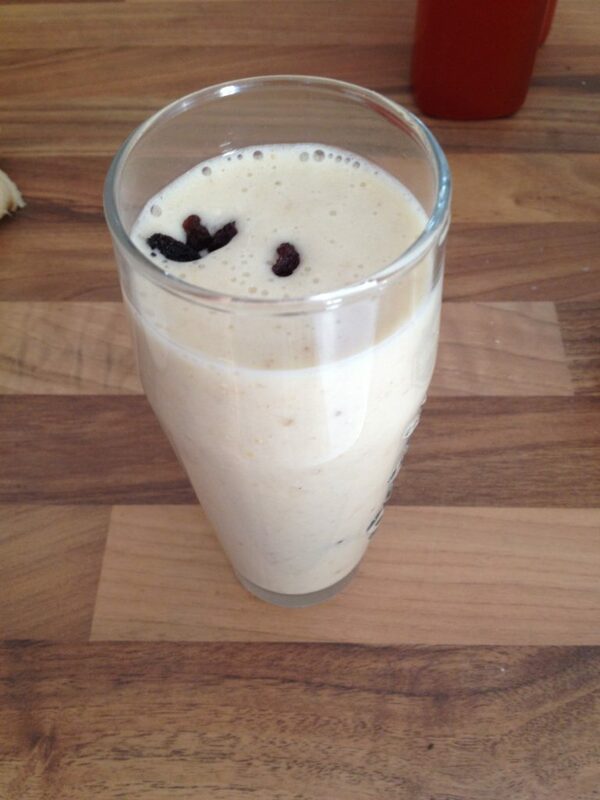 I use chocolate flavoured whey, which makes the smoothie feel very luxurious. I say breakfast smoothie, but I just made this in the middle of the day to keep me going through until the evening while cheering for the rugby, COME ON SCOTLAND!!! 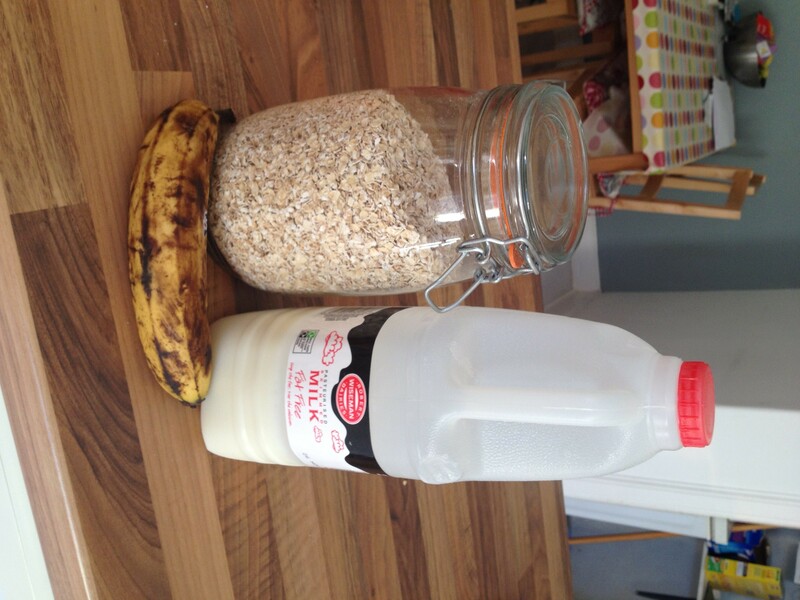 Posted in Recipes and tagged banana, breakfast, food, health, nutrition, oat, smoothie.